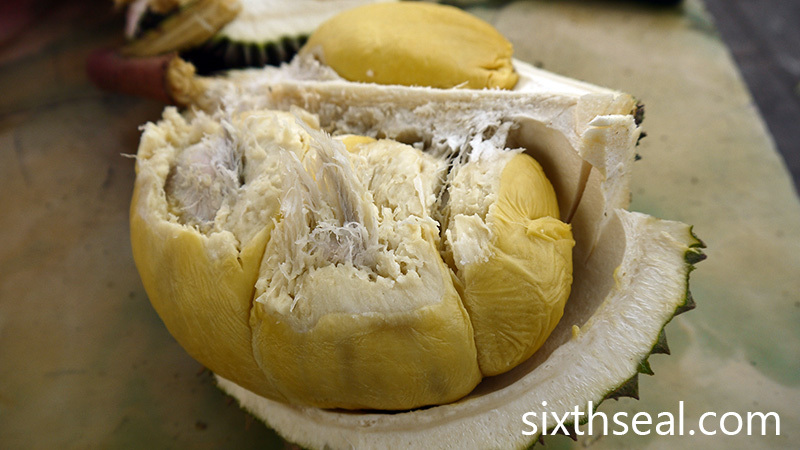 You sure know your durian,HB!! 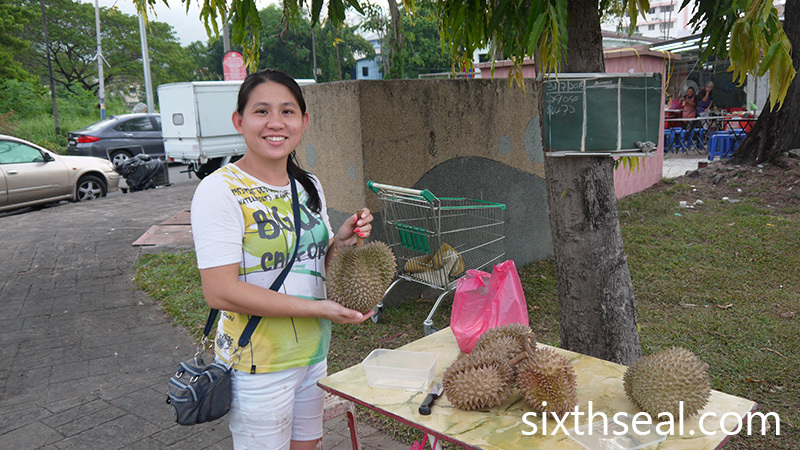 Now I started to see more durian vendors in Kuching. Maybe starting to pick up over here. 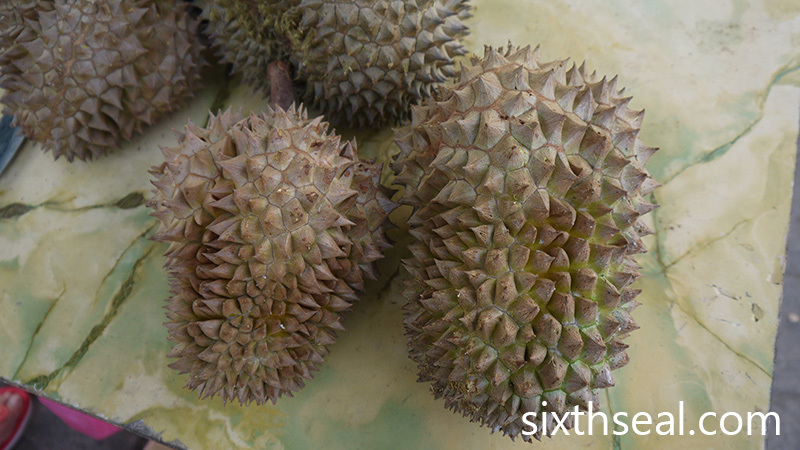 Learn something new everyday from fellow enthusiasts, durian sellers (have cultivated a good relationship with a couple – they tell me what to look for and how to tell durians apart). 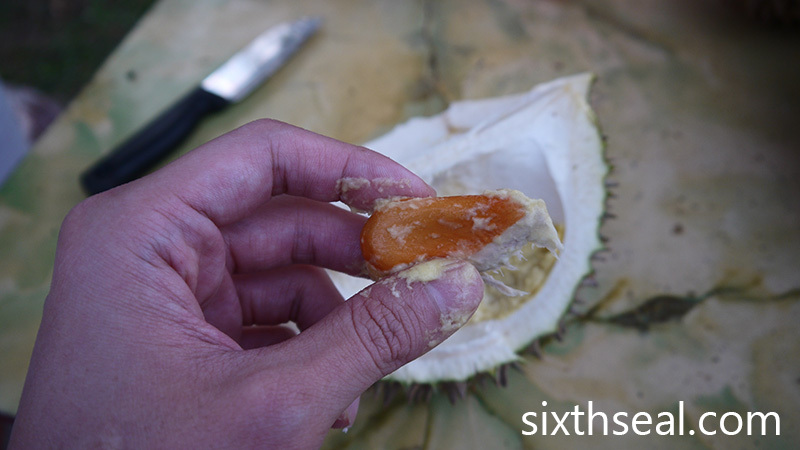 Yeah, I heard that the durian season is starting in Sarawak. I can’t wait to go back to eat them! 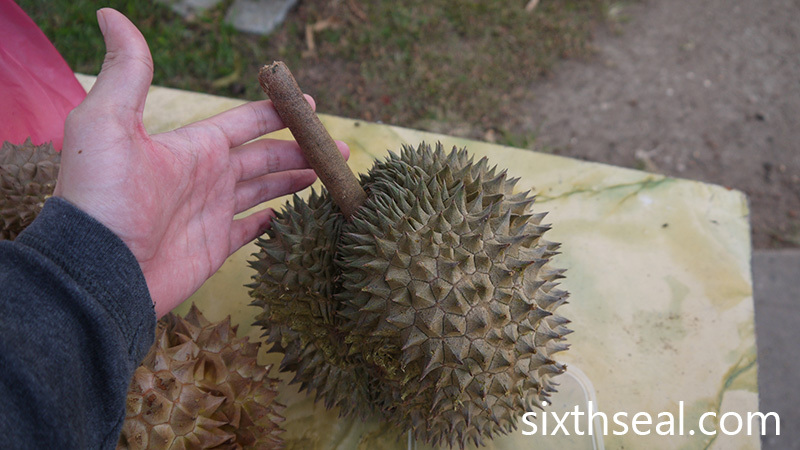 Never heard about these durians but I tried the Durian tekkah or Green bamboo. It was not cheap, almost Rm50 per kg. It tasted bitter sweet and very fleshy. It was damn good! 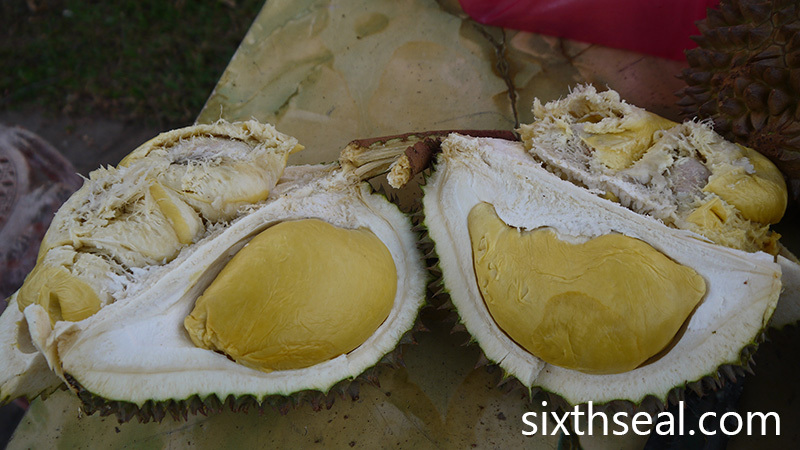 It’s a good fibrous durian with lots of flavor. 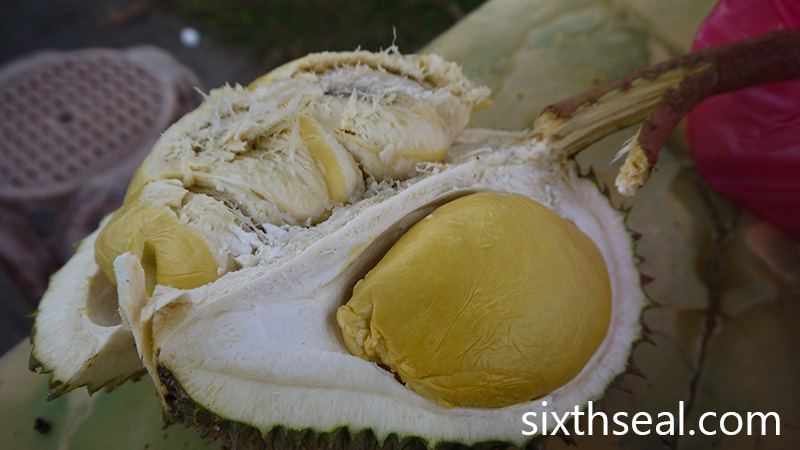 It’s one of the more expensive durians too, usually around RM 22-28/kg over here, as of 2015 prices. Did it look something like this? However, if you eat it in Singapore and convert, it can be sometimes cheaper! I’ve seen it quoted for SGD 9/kg in Singapore (about RM 26/kg). 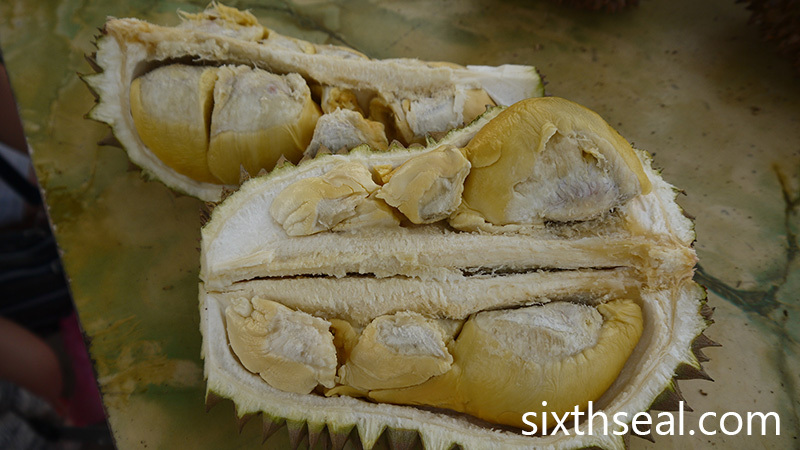 RM 50/kg is a lot to pay though, unless you mean for a durian? I agree, Thailand durians (or cloned durians of Thai stock like D158 Ganyao/Kan Yao/Tangkai Panjang) tend to be more towards the sweet side. D123 Chanee is a very good durian, I personally like Chanee a lot too! 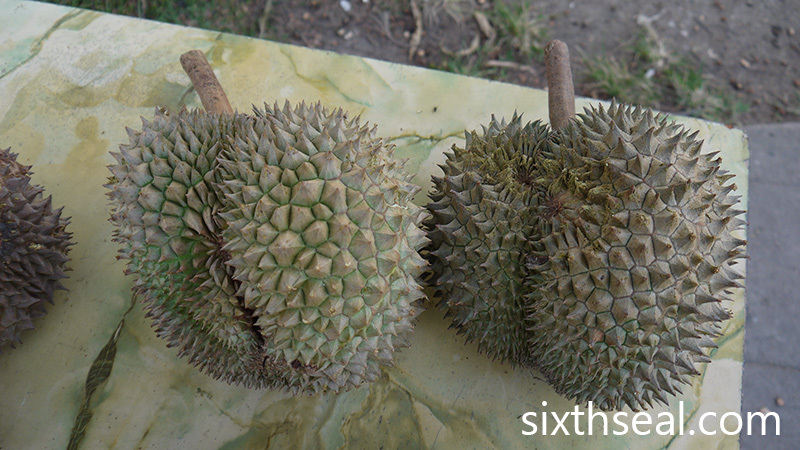 For some strange reason, not many durian stalls carry it, except for Indonesian or Malay stalls, and a few Chinese ones. 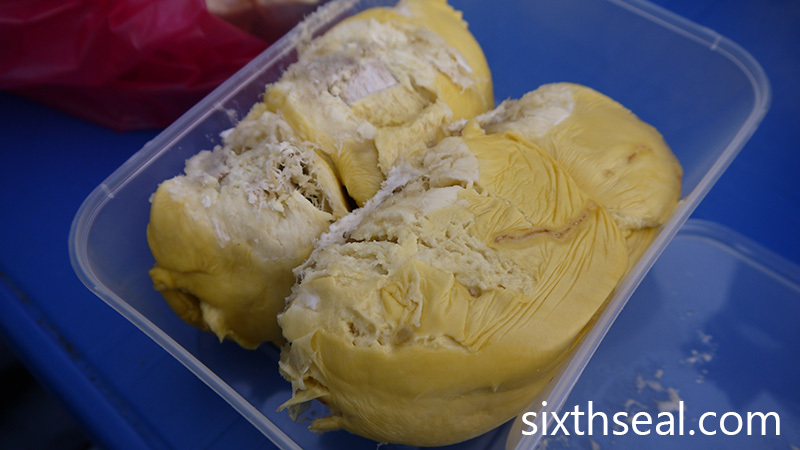 I just had a HUGE 5.4 kg durian that was sold as “kampung durian” to me at RM 12/kg and it was soooo big that I suspected it was a Monthong. 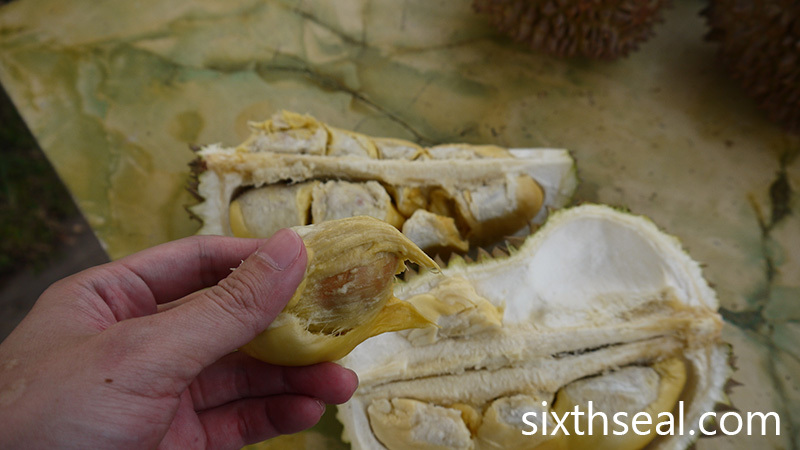 It was sweet and fluffy and had lots of flesh, it took me two days to finish the durian. Haha. It didn’t help that it was slightly bland too, not much smell or flavor, but that’s the characteristic of D159/Monthong/Bantal Mas. I’m pretty sure it was a Monthong anyway but it wasn’t sold as such, but it was grown locally in Pahang. 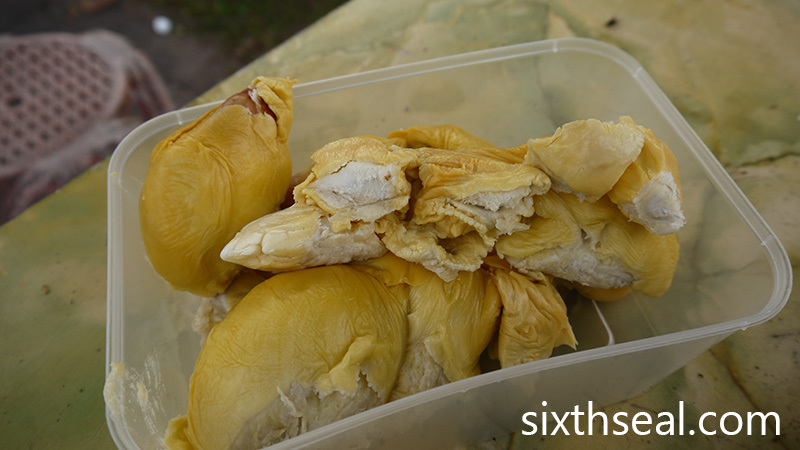 Yup …durian seasons ending soon. Price quite cheap for the two that you have chosen. I thought it would be more pricey than Musang King. However, usually Black Thorn would be the most expensive, followed by Musang King and then Red Prawn. The others will be under the RM 30/kg price point from Teka to D24. I was delighted to be able to eat Penang durians too, they don’t ever come down to KL coz of the local demand, although I’ve seen Ganja Durian in PJ for about the same price. There are D158/Ganyao/Kan Yao stains here but they’re not from Penang, mostly from Pahang.